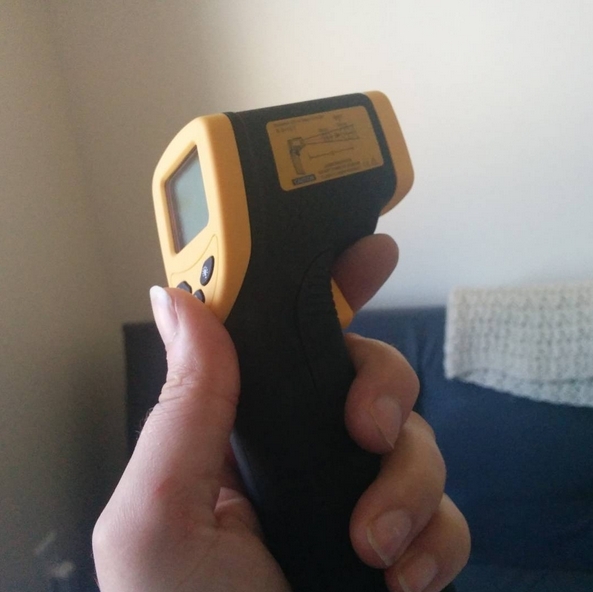 This infrared thermometer from Nubee can take accurate temperature readings from across the room. It has a red laser pointer for precise aiming (don't shine it in anyone's eyes) and you can be quite a distance away and it still works. It is powered by a 9v battery, which is included. The battery was a bit hard to install, but we got it (thanks to my husband's strong muscles) and it works perfectly fine. It has a low batter indicator, and shuts off automatically after a certain amount of time lapse. The temperature range is from -58 F to 716 F and it can measure in either Celsius or Fahrenheit. We like to go shooting up in the canyon or at the shooting range. It is a good sport, and fun competition to see who can eat up the center of the target. 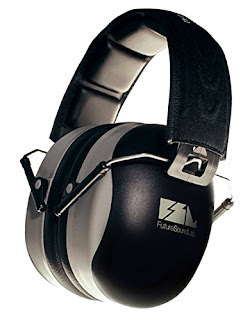 But anytime when you are shooting guns, you need to protect your hearing and your ears. That is where this set of noise cancelling ear protection muffs come in. They are extremely affordable, and can be used for other loud activities, not just for shooting. If you are working construction you might also like a pair of these. They fold in half for super easy storage, but also are very comfortable and fit themselves automatically to your head when you put them on. My husband fits them and he has a bigger head than I do, but they also fit me perfectly as well. 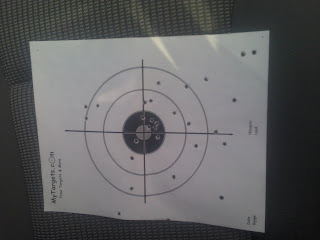 And here is my target from shooting my 9mm ruger! You can see that I need more practice! Most of the time women tend to have better aim and a steadier hand with a handgun, and the men are better with shotguns (more accurate) and rifles. At least that is how it is in my family! I received this Electric Callus Remover by Cinderella's Secret and couldn't wait to try it out. The first person I used this on was my husband. After years of scaling his feet with the ped egg, I hadn't touched his feet for probably 6 months. So he was a willing candidate for me to try this out on. The outside of his right foot has some super hard calluses on. Honestly, once we were in Mexico on vacation and we went to get pedicures. I got him to agree to go because I told him "they massage your feet and calves". Well, they did for me... not for him. Instead, they used the time to use an implement like a carrot peeler, and PEEL the skin off his calluses! NO JOKE! His feet were baby soft afterward (the only bonus) but he didn't get his massage and his feet were super sensitive that he couldn't walk without pain. So, we are very careful with his feet now, no more carrot peelers used on his feet. And I have been wanting to get one of these for the longest time. I got it and immediately used it on him. When you press hard, the motor stops, so you can't go too hard. But it is effective enough with lightly touching the soles of your feet. It is very relaxing as well. 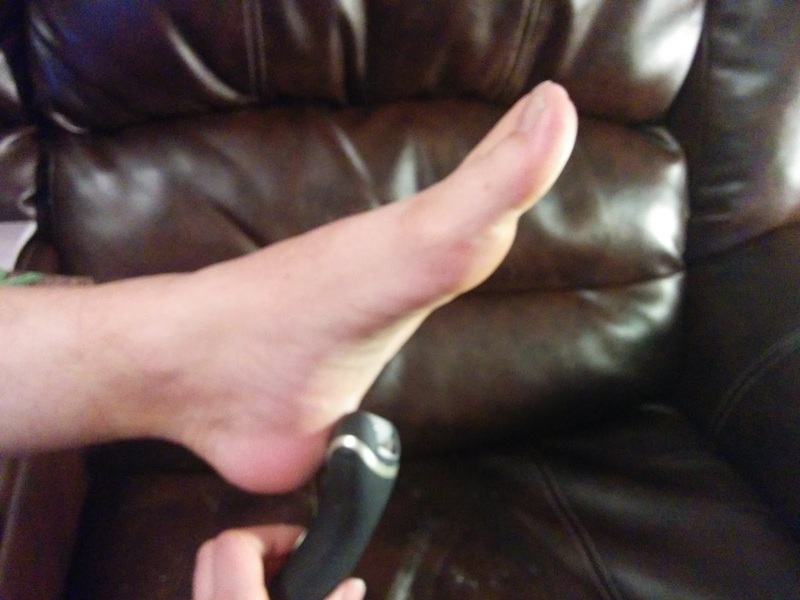 The foot dust collects at the base of the tip. (That sounds weird, but the tip of it where the rotating stone is, there is a base under it). It also comes with a brush to dust it off (when you dump it, it doesn't just dump out, the brush is needed to clean it out). It comes with extra rotating stones as well as a cover. And, IT COMES WITH BATTERIES! I LOVE it when batteries are included. I give this 5 stars without a doubt. My husband is a happy man with soft feet! This cat bed is made out of plastic -- it doesn't seem like sturdy PVC, but a thinner plastic type, and you slide it through the seams of the canvas "hammock" to attach it. Then, you plug the suction cups in, and put the cat "blanket" on via velcro. 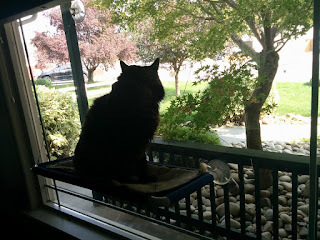 My cat loves it (see picture below) because she has a super easy visible view to where all the birds congregate. She stays up there for hours at a time, but it still isn't her favorite place to be. (That is under the bed in our guest room for some reason). There are a couple things I want to mention about this cat bed. First, it was so hard to put together. The instructions were horrible, but we finally figured it out as it is pretty much self explanatory, although hard to stick the plastic through the tiny holes in the canvas hammock. Another issue we had was that one of the suctions "unstuck" from the window while my cat was on it. Luckily, I was near her and while it tilted her, it didn't make her fall. It did startle me, but she appeared unphased. I don't know how to guarantee that this won't happen again. I have pressed the suctions hard onto the glass, but while it says it will hold 50lbs, I really don't think so. My cat is just under 15 lbs, and while it seems secure for her, I don't know if the suctions will hold in the future. 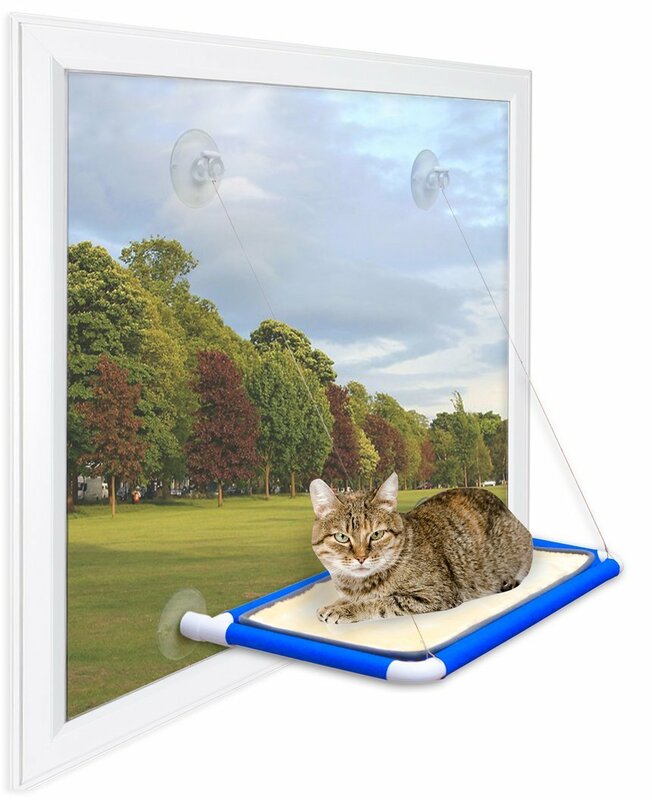 It is only $21.99 with free shipping if you have Amazon Prime so it totally is worth it if you have a cat and a good window for them to perch on! We are currently renting but have been looking to buy a home with some acreage on it so we can plant a ton of things. We hope to have small orchard (with 20-30 trees) and a large garden area as well! Some of the other things we want to plant include berries. We want raspberries, blueberries, blackberries, elderberries, etc. So we have these 12" pots that we are using. These are normally for garden centers and nurseries, but you can get them on Amazon HERE. They are high quality and made out of recycled, high grade polypropylene plastic, that is designed to eliminate brittleness and enhance the flexibility. They are durable enough to be re-used year after year and have drainage holes at the bottom to let the excess water out, but keep the plants moist. 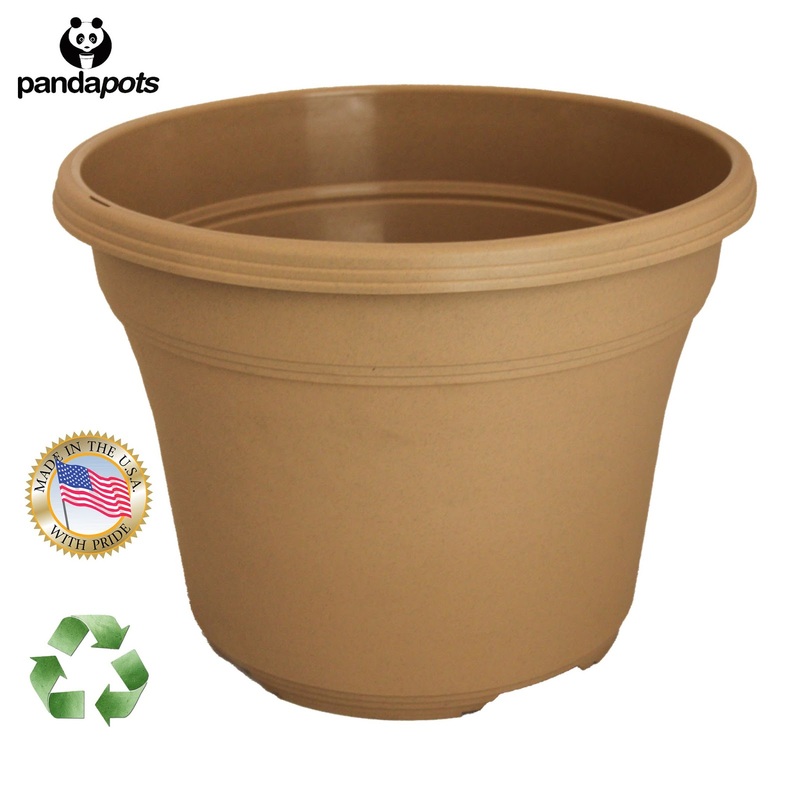 They do not come with trays and so they would be best used for outdoor plants or bushes. This AMAZING professional skin care kit has a lot going for it. I was a bit overwhelmed when I first got it, because while I know a LOT about natural skin care, I really have never done treatments on myself or others, before. This surely is a natural skin care option! 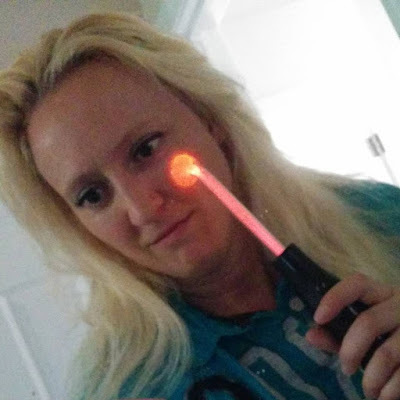 It is a cool tool to have because I am in my 40s now and have started worrying about aging. I have two age spots already on my face (they are still very faint, but I can see them!) and will be using this on them on a daily basis. I also have dark circles under my eyes because of insomnia. I will use the one for my eyes on a daily basis to try and reduce that. Of course I also need to get more sleep! 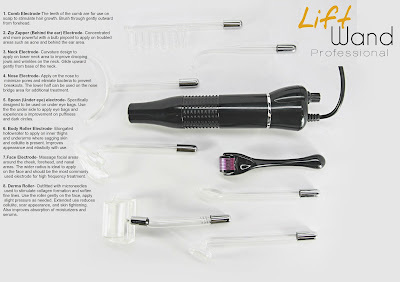 This Lift Wand utilizes high frequency currents to increase blood circulation, eliminate bacteria (to help with acne) and improve skin elasticity and collagen production. 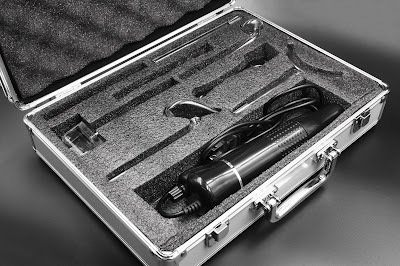 This unit comes with a gorgeous aluminum carrying case to protect the glass electrodes. It is easy to bring with you wherever you go. Here is a picture of me using the main one on my skin. It illuminates when it is on, so I turned the bathroom light off and tried to take the picture without the flash going off, so it isn't the best picture, but you get the idea of how it works! 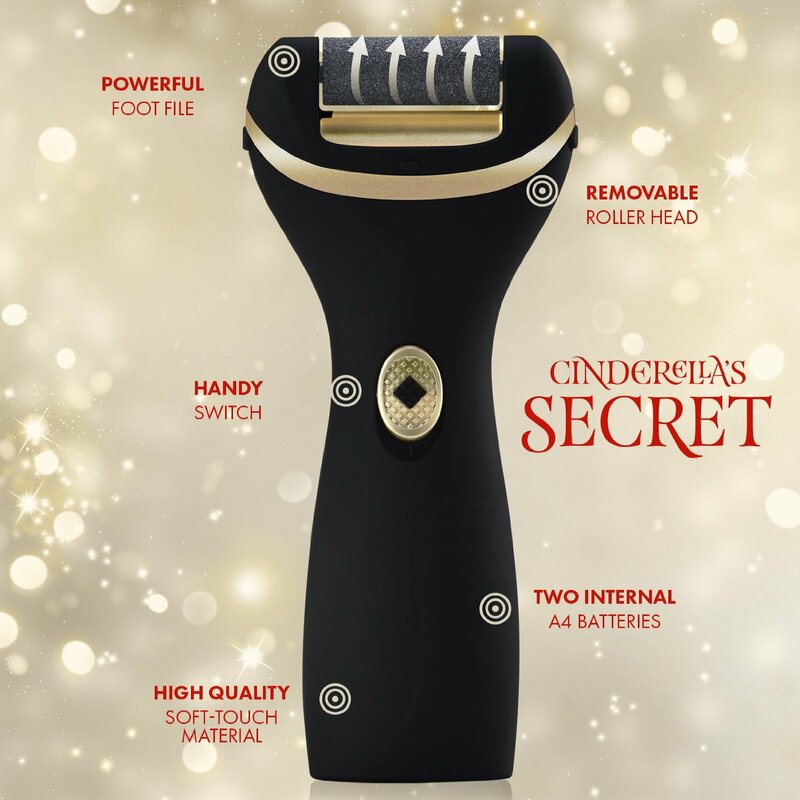 Make sure the wand is turned off then insert the electrode inside the wand by sliding it in, make sure it is secure and twist to make it tighter but do not apply excessive force or glass could break. Turn on the wand and slightly twist the dial on low power, start massaging over the face and neck in circular motion. You will feel a tingling sensation on the face, use for no more than 10 seconds on one area. Start using the wand on in a circular motion from nose-right side of face-chin-left side of face-nose-forehead. 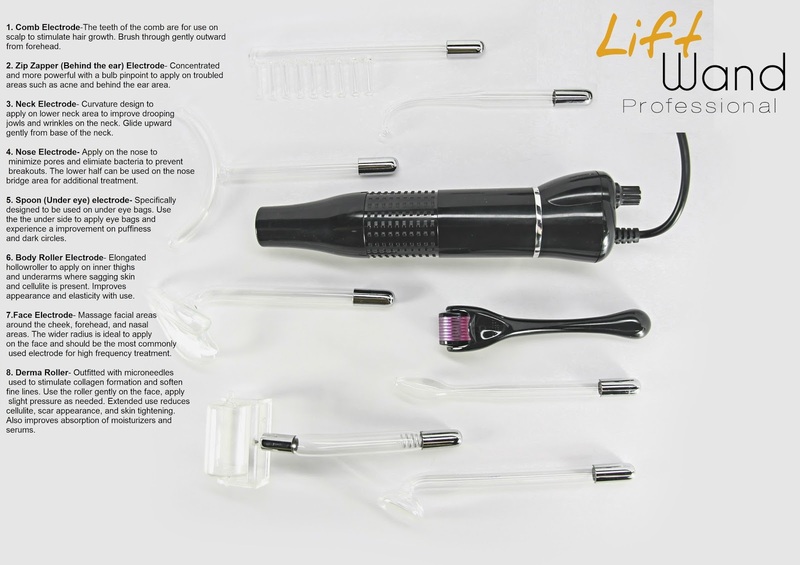 Use daily and use different types of electrodes for different areas of the face, neck, chin, etc. After use be sure to sterilize the electrodes after unplugging the wand. First be sure to sterilize the roller head in alcohol for 1 minute. Required to prevent infection. Wash your face to remove oil and grime. Using a gentle pressure, roll the device back and forth 2-3 times vertically and horizontally on troubled areas of the face. You will feel a slight tingling sensation because the micro needles will make light penetration into your skin. When you finish rolling, about 3-4 minutes wash your face with a cleanser. You will notice a slight reddening of your skin. DO NOT apply any topical creams on your skin immediately after treatment. Wait at least 24 hours for your pores to close up and heal before applying. Sterilize your roller head for 1 minute alcohol.